Blessed and opened in July 2005, Blessed Titus Brandsma House serves as the main administration centre for the Carmelites. It is the only Carmelite house with a landline phone, fax and internet access as well as a postal service. 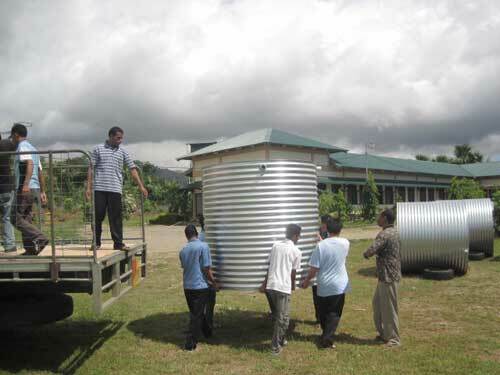 It is a 'transit house' for Carmelites and other visitors travelling between the parish of Zumalai and Dili. Blessed Titus Brandsma Community is also the formation house for the Pre-Novices - young men beginning their formation as Carmelites. 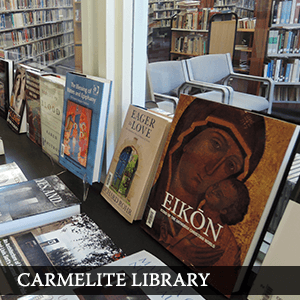 The two-year pre-Novitiate is an introduction to Carmelite life and formation and a time of deeper discernment. During their second year these students take part in an Inter-Congregational programme for young men and women who are beginning their formation in religious life. 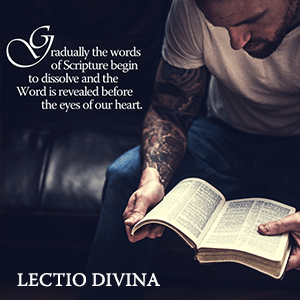 The daily programme for the Pre-Novitiate includes attendance at Eucharist, community and personal prayer, manual and pastoral work and sporting activities, studies in English, Portuguese, introduction to scripture and theology, and a programme for human development. 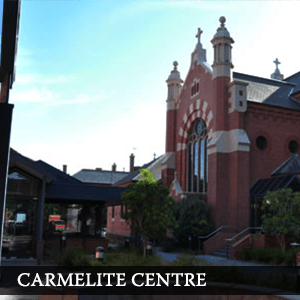 The Carmelite sisters “Hermanas Carmelitas” live nearby so the Carmelite priests celebrate daily Mass for them and also at the Mission Centre. As well as providing accommodation for the Carmelite friars and pre-novices, there are also rooms for male high school students from Zumalai. 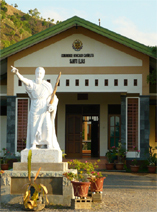 There are few senior high schools in East Timor. By providing accommodation in Dili for these students, the Carmelites are making it possible for at least some students from Zumalai to complete their secondary or technical education. Most families cannot afford to pay for board and education expenses for their children. 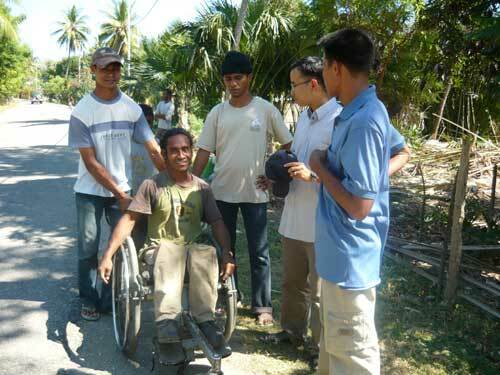 The Carmelites are helping these students by providing for their needs while they study. These students with the Pre-Novices also contribute to the daily up-keep of the house and the community. Fr Agostinho Exposto looks after the Pre-Novices at Fatuhada. 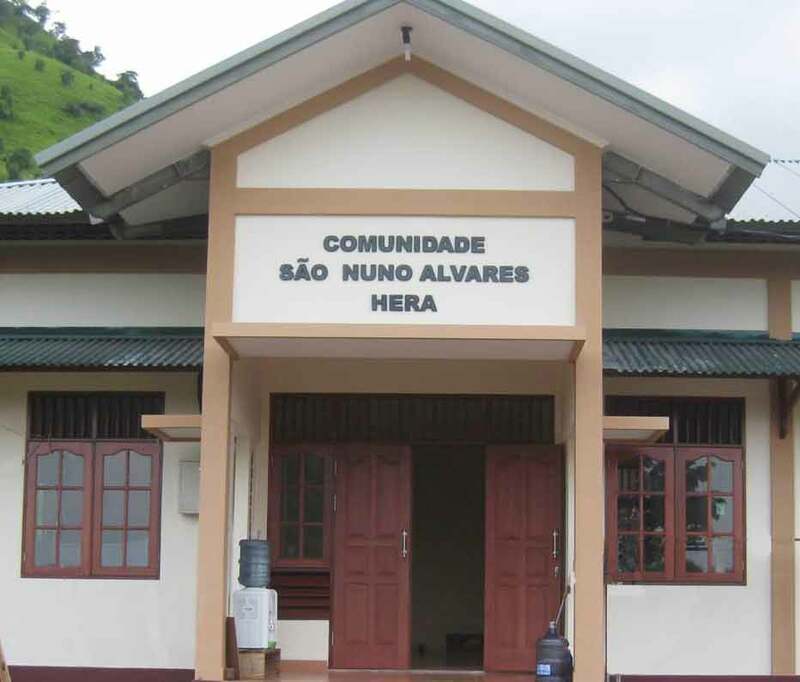 In April 2007 Santo Elias Novitiate in Hera was blessed and opened. Hera is a 20 minute drive east from Dili. Santo Elias was built with generous financial assistance from Australia, Rome, Ireland, Britain and USA. It was a two year project that was managed with patience and hard work with those close by. This beautiful building has 20 rooms for novices and 5 rooms for professed Carmelites. Among the rooms there is also a classroom, a small library and a chapel which is large enough to invite the local people to join the community for Mass on Sunday and other feast days. In the grounds a fruit and vegetable garden has been established as well as a soccer field. There are many flowering plants in the internal garden of the Novitiate building, most of which are tended lovingly by our young Carmelite students. The novitiate is a special time of formation in the Carmelite spirit. During these two years the Novices learn more about the Carmelite Order and its charism and try to grow in a life of prayerful union with God. It is a journey of personal transformation under the guidance of the Holy Spirit, supported by the Novice Director and the Carmelite community. The Carmelite students in Timor-Leste who are preparing for priesthood study at the Diocesan seminary at Fatumeta, Dili. 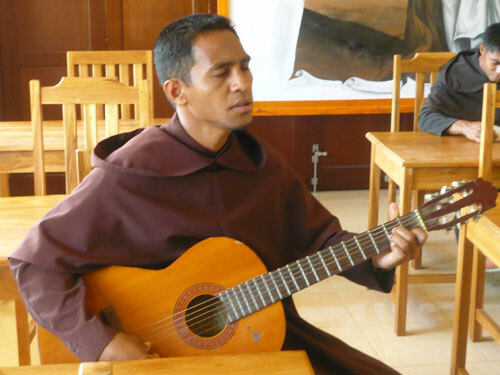 These young Carmelites now study the Portuguese language and take their seminary classes in Portuguese and Tetum, the other national language. São Nuno House was blessed and opened by Carmelite Prior General, Fr Fernando Millan, in May 2010. It provides accommodation for twelve young Carmelites and two rooms for formators. It is quite close to the Santo Elias building. The new building is named for the Carmelite, Saint Nuno, known as Portugal's "Father of the Nation" and decalred a saint by Pope Benedict XVI on 26 April 2010. Fr Bruce Clark is the Prior of the community and the Novice Director. Frs Carlito and Fausto look after our students in various stages of formation.